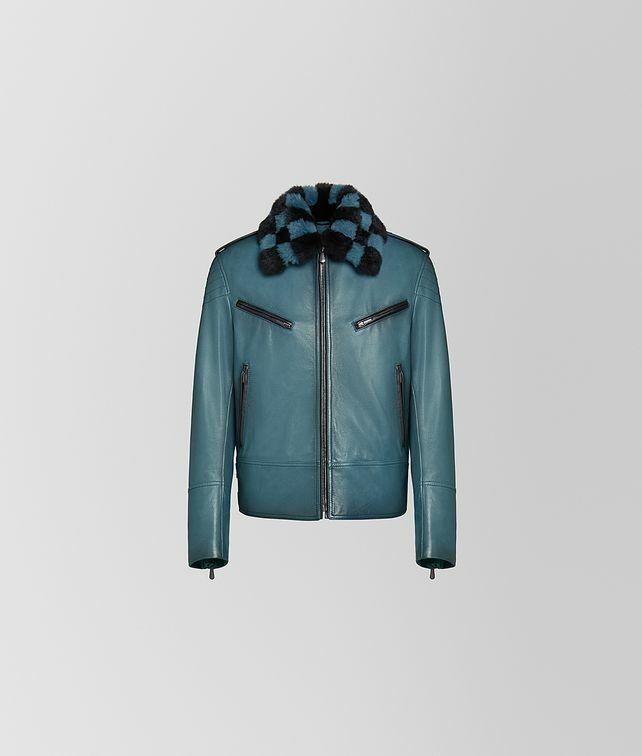 Introduced in our Cruise 2019 presentation, this jacket is crafted from shiny waxed calf leather and features a removable intarsia shearling collar in a graphic check motif. Sporty yet ultra-luxurious, the moto-inspired style is detailed with stitching on the shoulders, epaulettes and contrast trim. The viscose lining features our microponza print. Fitted with four zip pockets and a zip fastening.